It takes a lot of practice to really get to the top of your game playing the piano. But if you live in an apartment or share a home with other people, you may not be able to practice whenever you want to. The noise could bother your neighbors, or your roommates may want to watch TV, or your family may want to sleep. One of the greatest features of the best digital pianos is that most of them have a built-in headphone jack. This allows you to plug in a set of digital piano headphones and practice in blissful silence without disturbing those around you. To get the best practice experience, you don’t want just any old set of earphones. 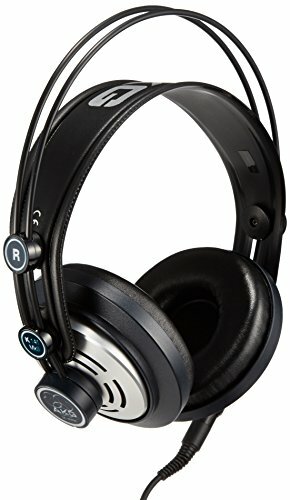 You want quality headphones that will let you hear the piano like it’s supposed to sound. The best headphones for digital piano sound even better than your keyboard’s built in speakers, and can make you feel like you are performing in a grand concert hall. To get the best piano sound, we generally recommend sticking to closed-back, over-the-ear headphones. These provide the highest comfort, the most immersive audio experience, and the greatest noise isolation. Open-back headphones or earbuds, in contrast, won’t be nearly as immersive and won’t block off sound as well. So, without further ado, here is our list of the best headphones for keyboard. Sony’s MDR-7506 headphones are professional quality headphones that offer great sound and excellent comfort for long-term use. The noise cancelling feature in these headphones is extremely helpful for blocking outside distractions while you practice and letting you simply get lost in your music without worrying about the world around you. The gold-plated connectors also help prevent long-term damage to the headphones and the ability to fold up saves space when it’s time to step away from your piano. They are also lightweight, adding to the comfort level they offer you while you play. Sennheiser’s HD 280 keyboard headphones have a circumaural design, which means that they cover your whole ear. This makes them very comfortable to wear for long periods and also makes them soundproof. The earpads and headband are also padded for extra comfort. The HD 280s relay sound exceptionally well, and have a very wide range of frequency response. This means that you’ll be able to hear the highest highs and the lowest lows. While the cord on this particular model is a little shorter than some would like, they do offer outstanding durability so they will last you a good while. These headphones have fantastic audio quality and are comfortable to wear for long practice sessions. 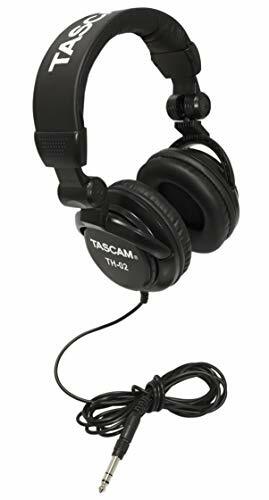 Tascam’s TH-02 headphones are an excellent pair of headphones, especially for their low price. 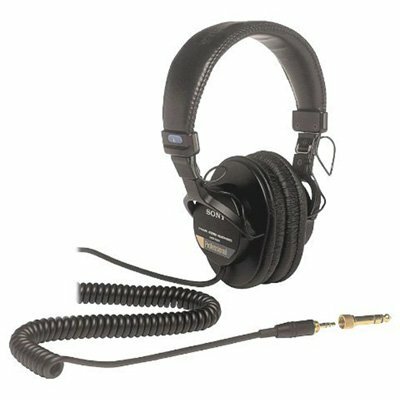 While not as popular as some of the more expensive piano headphones mentioned here, these Tascam headphones are carefully crafted to provide excellent sound quality, no matter the pitch or genre of what you are playing. These headphones feature a padded headband and cushioned ear pads for comfort and the ear pads rotate as well. As far as storage goes, the headphones are designed to be folded for when they are not in use, saving you a lot of space and making them easily portable. The AKG K141 MKII headphones are an excellent choice for any musician. With velvet and leather padding on the headband and ear pads, they are comfortable to wear even through your longest practices. The headband is adjustable too, so you don’t need to worry about if they will fit to your head when you order them. These headphones offer a fantastic dynamic range as well as a high sensitivity, and they project a clear, strong sound into your ears. They also come with two cables and are sturdy and comfortable enough for long term use. 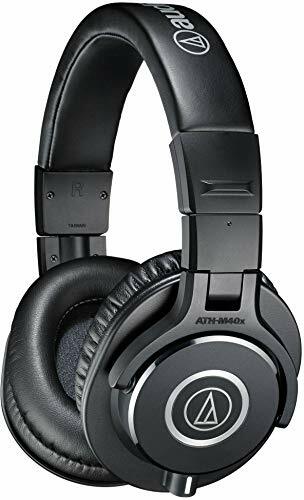 The Audio-Technica ATH-M40X headphones are the less-expensive version of the incredibly popular ATH-M50X, but for the lower cost they really don’t suffer in terms of sound or comfort. These are professional-quality monitor headphones that are designed to produce an accurate and balanced sound. Needless to say, that makes them perfect for piano use. 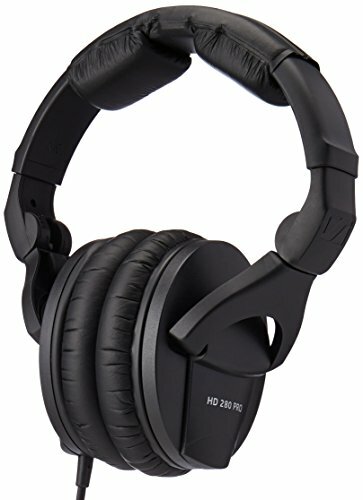 The 40mm drivers on these headphones produce very strong sound along a wide frequency range. They’re also well-made with quality materials, and they just feel durable. They also feature a detachable cable, and they even come with both straight and coiled cables that you can interchange to your preference. When it comes down to it, music is all about sound and you want the best sound quality to really hear the music that you’re making. Whether you have a classic Steinway grand or a good Casio keyboard projecting the sound of a Steinway, you want to make sure you’re getting the best possible sound out of what you’re playing. A really good set of headphones will let you not only practice silently, but also immerse you in the experience and allow you to become fully engaged with your playing. Any of the best headphones for piano on this list will be a great choice for your silent practice sessions. No matter which one you choose, your ears will thank you and your neighbors and family will too!